Epel yum repository is an open source centos yum repository or rpm repository for developers and system administrators to perform the installation of RPM packages via yum on their virtual private server (VPS) or dedicated server. EPEL yum repository is redhat yum repository for CentOS and additional yum repository for the existing CentOS repository. It provides 100 % high quality software packages for Linux distributions, including RHEL (Red Hat Enterprise Linux), CentOS and Debian, and all packages maintained by Fedora repo team. 2. Command to verify that the EPEL repository is enabled. Apache is the oldest web server, you won’t have any trouble finding people skilled in configuring it. For the linux server platform that running on CentOS 7, RHEL 7 and Oracle linux 7, the removal step for Nginx is quite different from older version. Therefore, this article will explain the steps to remove or uninstall Nginx that was installed from source on CentOS 7, RHEL 7 and Oracle Linux 7. Note : These steps to Remove / Uninstall Nginx has been tested on CentOS, RHEL and Oracle Linux platform and was running under root privilege. 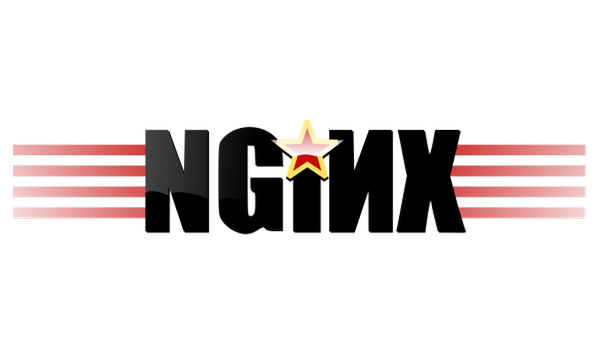 NGINX is a web server that focuses to high performance and high concurrency and at the same time very low memory usage. It is a flexible web server and lightly if compare to the Apache HTTP Web Server. Since the advent of RHEL 7 and CentOS 7, many webmasters or system administrators and the owner of Virtual Private Server (VPS) or dedicated server start to find a best way to update and install Nginx on CentOS 7 and RHEL 7. 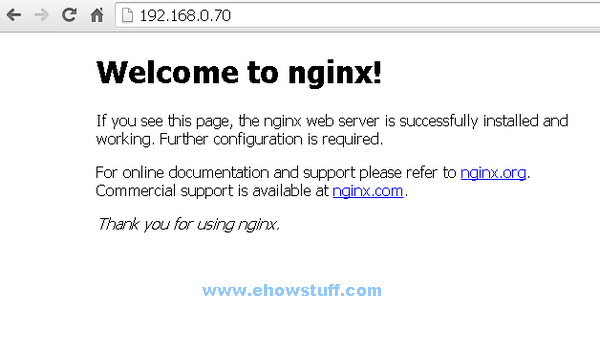 The article below discusses how to install Nginx with two method option and the steps are tested on CentOS 7 and RHEL 7 operating system. nginx error log file: "/var/log/nginx/error.log"
nginx http access log file: "/var/log/nginx/access.log"
nginx http client request body temporary files: "/var/cache/nginx/client_temp"
nginx http proxy temporary files: "/var/cache/nginx/proxy_temp"
nginx http fastcgi temporary files: "/var/cache/nginx/fastcgi_temp"
nginx http uwsgi temporary files: "/var/cache/nginx/uwsgi_temp"
nginx http scgi temporary files: "/var/cache/nginx/scgi_temp"
Note : Please replace “OS” with “rhel” or “centos“, depending on the distribution used, and “OSRELEASE” with CentOS or RHEL version such as “5”, “6”, or “7”, for 5.x, 6.x, or 7.x versions, respectively. 2. Alternatively you can install the prepare yum repository using nginx-release package followed by the OS version. How to verify the both installation method are successful or not ? If you have installed Red Hat Enterprise Linux 7 (RHEL 7) but do not have access to the redhat official repo, you will encounter problems installing and updating software. To solve the above problems, I have prepared a short step to update and install the RPM package from the CD-ROM/DVD-ROM image for RHEL 7. 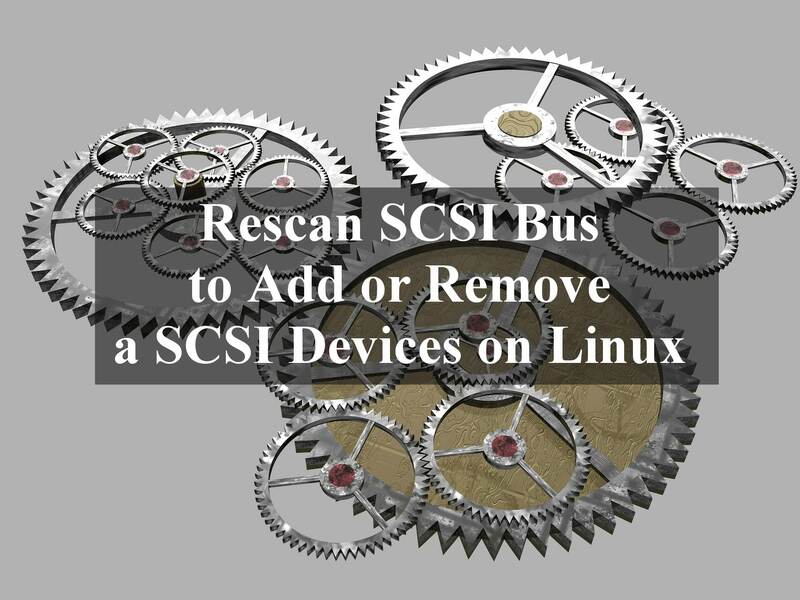 This step can also be used in RHEL 6 or older versions such as RHEL 5. For linux servers that do not have access to the internet or no access to the RHEL official repository, the steps below will help. 4. Install, remove and update using yum command. Storage technology plays a important role in improving the availability, performance, and ability to manage Linux servers. One of the most useful and helpful technology to linux system administrator is Linux Logical Volume Manager(LVM), version 2 (or LVM 2). LVM is a widely-used technique and extremely flexible disk management scheme for deploying logical rather than physical storage. With LVM, system administrator can easily resize and extend the logical drive when it is required. 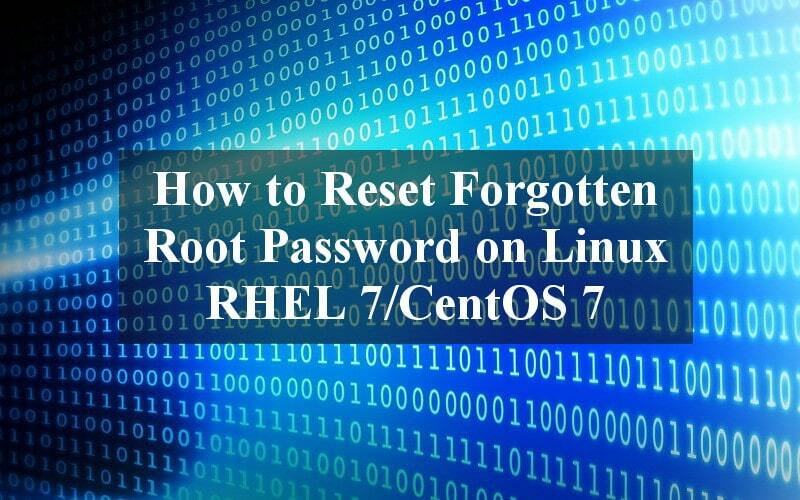 The following steps will describe how to create LVM in Linux CentOS 7 or RHEL 7 or Oracle Linux 7. Building a new DOS disklabel with disk identifier 0xfd3bf27d. physical properties (size, extents, volume group, etc.) in a fixed format. "/dev/sdb1" is a new physical volume of "20.00 GiB"
6. 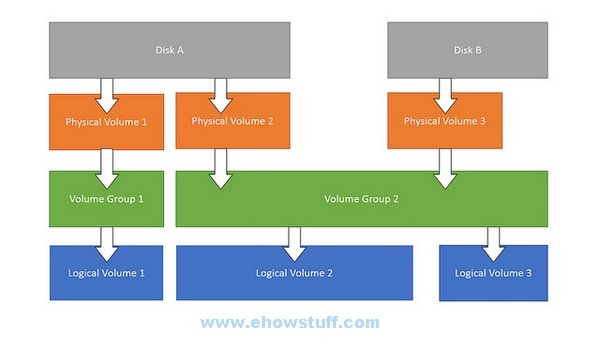 Create volume group name vg_newlvm and add /dev/sdb1 partition into the group. Many of the system administrator asked whether they need to install Open-VM-Tools package or VMware Tools package that ships with ESX/ESXi VMware products. VMware Tools is a suite of utilities that enhances the performance of the virtual machine’s guest operating system and improves management of the virtual machine. The Open Virtual Machine Tools (open-vm-tools) are the open source implementation of VMware Tools. They consists of a suite of virtualization utilities that improves the functionality, administration, and management of virtual machines within a VMware environment. As virtualization technology rapidly becomes mainstream, each virtualization solution provider implements their own set of tools and utilities to supplement the guest virtual machine. The primary purpose for open-vm-tools is to enable operating system vendors and/or communities and virtual appliance vendors to bundle VMware Tools into their product releases. Note : If your OS is not listed above, i would suggest you to install VMware Tools package that ships with ESX/ESXi VMware products. VMware recommends using open-vm-tools redistributed by operating system vendors. VMware fully supports virtual machines that include open-vm-tools redistributed by operating system vendors, which is done in collaboration with the OS vendor and OS communities. However, the operating system release must be published as certified by the specific VMware product in the online VMware Compatibility Guide. VMware provides assistance to operating system vendors and communities with the integration of open-vm-tools with OS releases. VMware fully supports virtual appliances that include open-vm-tools, which is done in collaboration with the virtual appliance vendor. VMware does not recommend removing open-vm-tools redistributed by operating system vendors. 3.The hwclock utility for accessing the hardware clock. The timedatectl utility is a part of the systemd system and service manager that allows you to change the current date and time of the linux system. 1.1. How to check time server linux using timedatectl ? 1.2. How to set date on centos sing timedatectl ? 1.3. How to change server time centos using timedatectl ? 1.4. How to change the Time Zone using timedatectl ? The date utility is available on all Linux systems. date allows you to display and change the current date and time and it is frequently used in scripts to display the system clock. 2.1. How to display the current Date and Time using date ? This displays the day of the week followed by the current date, local time, abbreviated time zone, and year. 2.2. How to display the current Date and Time in customized the format ? [root@centos7 ~]# date +"%Y-%m-%d %H:%M"
2.3. How to change the current time using date ? Replace HH with an hour, MM with a minute, and SS with a second, all typed in a two-digit form. hwclock is a utility for accessing the hardware clock. Hardware clock is independent of the operation system you use and works even when the machine is shut down. This program is used to find out the time from the hardware clock and set the system time at boot time. 3.1 How to display the Current Date and Time using hwclock ? 3.2. How to change the current Date and Time using hwclock ? [root@centos7 ~]# hwclock --set --date "29 Oct 2015 15:20"
Note : In Red Hat Enterprise Linux 6 / CentOS 6, the hwclock command was run automatically on every system shutdown or reboot, but it is not in Red Hat Enterprise Linux 7 /CentOS 7. For more information on how to change the Linux Date and time in Red Hat Enterprise Linux 7 and CentOS 7, please read the manual page for the timedatectl, date and hwclock. Red Hat Enterprise Linux 7 (RHEL 7) and CentOS 7 come with the new naming scheme for the network devices. These features change the name of network interfaces on a system in order to make the network interfaces fully predictable, fully automatic, easier to differentiate and that broken hardware can be replaced seamlessly. This affects both network adapters embedded on the motherboard (Lan-on-Motherboard, or additional adapters such as PCI network card and etc. Traditionally, network interfaces in Linux used eth[0123…]. In RHEL7/CentOS7, the default network interface name is based on firmware, topology, and location information. ww for wireless wide area network (WWAN). In a surprise move, Red Hat has announced that version 7 of Red Hat Enterprise Linux (RHEL) will ship with the MariaDB database installed by default, in place of MySQL. The announcement was made at the company’s Red Hat Summit, which wrapped up in Boston on Friday. MariaDB is a fork of MySQL that was launched in 2009 by original MySQL coder Ulf Michael “Monty” Widenius. It’s meant to be a drop-in replacement, meaning any application that runs on MySQL should run unmodified on the MariaDB server. MariaDB does have one important characteristic that MySQL doesn’t share, however: MariaDB isn’t owned by Oracle. Oracle acquired MySQL as part of its 2009 purchase of Sun Microsystems and almost immediately began tightening the reins, much to the consternation of MySQL’s fans. Support options were cut, and Oracle shifted to an “open core” development model in which the open source database server is sold alongside expensive, proprietary add-ons. Widenius founded MariaDB largely as a reaction against these unwanted changes, and the project has steadily been gaining converts among the MySQL user community. A number of popular community-driven Linux distributions have already begun shipping MariaDB in place of MySQL by default, including Arch Linux, OpenSuse, and Slackware. But for RHEL to do so is quite a coup indeed, and somewhat unexpected. In May, the Fedora Project shipped a beta of Fedora 19 with MariaDB installed by default. But although Fedora is technically the upstream distribution for RHEL, and RHEL 7 will be based on Fedora 19, the actual software bundles that ship with the two distributions often differ significantly. What’s more, last week Red Hat shipped the first beta of Red Hat Software Collections, an officially supported bundle of databases and programming languages for RHEL. But while that offering includes MariaDB, it also comes with MySQL and PostgreSQL, and Red Hat offers no preference among the three. There is at least one good reason why Red Hat might be itching to move away from MySQL, though – namely, that there’s no love lost between Red Hat and Oracle, particularly since the database giant began offering Oracle Linux, a clone of the RHEL code base that lets Oracle keep all the money. At Red Hat Summit, senior engineering manager Radek Vokál said that Red Hat also expected it would be easier to contribute certain patches and features to MariaDB than to MySQL. Apparently, Oracle has not been particularly amenable. Vokál said that “some versions” of RHEL 7 will still ship with MySQL, but that MariaDB would be “the main thing” from now on. The Reg reached out to Red Hat for further clarification, but a spokesperson did not respond by the time we pushed the big, red “Publish” button. RHEL 7 is expected to ship with MariaDB sometime in the second half of 2013.